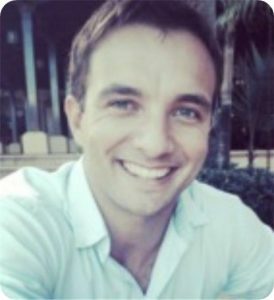 Van started out his career in credit risk management solutions by joining a leading international Credit Bureau in South Africa in 2006. Through this he built an impressive track record of sales achievements and advancement through a series of progressively higher responsible positions in sales and management, leading to high revenue growth in both new emerging and existing markets. In 2009 he formed part of a small, specialized team that spearheaded the corporate effort in the successful development and implementation of the first credit bureau in Uganda. The project was highly successful and has become a benchmark in Africa. Van joined Creditinfo Tanzania in April 2015 as Head of Sales and has since taken up the role as Country Manager, Creditinfo Tanzania. In 2016 he was appointed as a member of the board as Executive Director and minority shareholder in Creditinfo Group. Graduated in 2009 from Hamk University of Applied Sciences in Finland with Bachelor of Business Administration major in International Marketing. He joined Hamk University of applied Sciences master’s degree program in International Management while he was running his own business as sole trader in Finland. He came back to Tanzania in year 2013 to pursue import/export business of Battery energy drinks through family company Missokia Company Limited. He has always been very passionate about innovation and Digital solution development which led to him to join Maxcom Africa Ltd, the leading aggregator for payment solutions in Tanzania and worked as Senior Manager in Innovation until March 2017. The post created his mark in the technology product development until he was spotted by Creditinfo and joined in them April 2017 as Head of Sales and Business Development. Resourceful and motivated IT Professional with more than three years combined experiences in credit bureau operations, telecommunication and banking operations, Graduated in 2014 from University of Dar Es Salaam with Honours Bachelor Degree of Science in Computer Science. Devid is a Certified Information Systems Auditor (CISA) and Cisco Certified Network Associate (CCNA) with knowledge and experience in credit data analytics, credit risk management, network management, computer systems management, web application development, information systems security, business continuity/disaster recovery, IT project delivery, systems analysis, infrastructure management and user support. 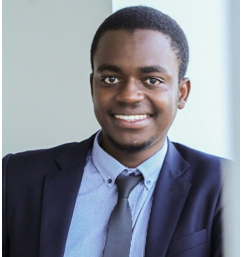 In August 2014, Devid joined Creditinfo Tanzania as a Junior Analyst. After six months he got promoted to IT & Data Administrator responsible for day to day IT operations of the company and consulting number of banks on credit data quality. Devid has now taken up the role as IT & Operations Manager, Creditinfo Tanzania spending most of his time crafting and working on IT projects. Graduated in 2008 from Institute of Financial Management (IFM) with Advance Diploma in Accountancy. Following graduation he joined Exim Bank in 2009 as a Banking Officer in Finance Department. In 2011 he was promoted to Assistant Finance Manager reporting directly to Chief Financial Controller (CFO), later 2014 he was promoted to take charge of the reporting section of Bank as Head, Reporting regulatory and other external donor funders. 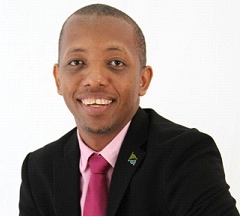 He joined Creditinfo Tanzania Limited in January 2015 as a Financial Controller responsible for contributes to the overall success of the company by effectively managing all financial tasks, overseeing budgeting and accounting. Currently studying CPA(T) Module E.